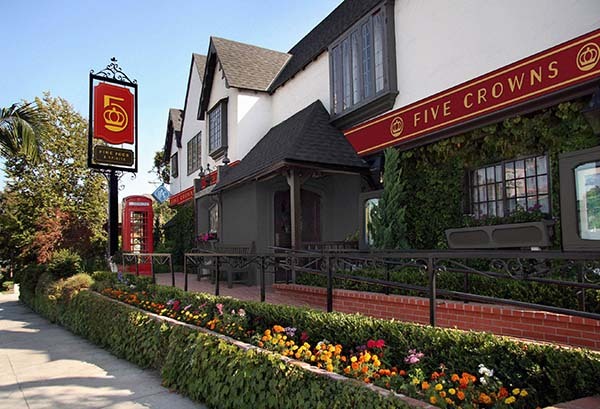 Last year's 50th anniversary celebration at Five Crowns in Corona del Mar did not just end on December 31st. Interior and exterior renovations were part of the process and continued into 2016 for several months before finally unveiling themselves in whole recently. The project was a large collaboration by several well-known southern California businesses such as Hatch Design Group, YYES Design Studio, Robertson Hill Architecture, and Roger's Garden, and all of the work truly paid off in both maintaining the heritage of Five Crowns while updating everything to be contemporary. The renovations also included the addition of a new bar - Cooper's Bar in the Greenhouse - where a craft cocktail program lives. 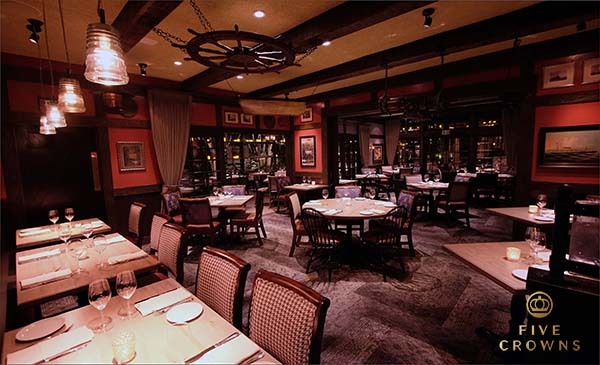 Not only has the restaurant itself gone through changes but the menu has also been scrutinized and improved upon. It was lovely to see the changes made out in the Greenhouse where dining space is sophisticated and relaxing. Inside, colors and furniture had changed but held onto the charm of Five Crowns' British inspirations. With the physical changes also came innovation to the overall menu which has always been mindful of seasonality. Now guests can add small plates to their meals or even hark back to past staple dishes by exploring the Crown Classics menu. They can also take part in the new steak program (the family has gone through six generations of being in the meat business) that focuses on locality, cut, season and aging. Choices include Creekstone Farm New York seak, Mishima Ranch beef, and even A5 wagyu. I was able to taste some of the dishes during the re-opening celebration, and everything was superb. Bites included Kusshi Oyster (with mignonette), Bigeye Tuna (with shoyu, sesame oil, and scallion), Steak Tartare (with au jus vinaigrette and egg on toast point), Chilled Black Tiger Prawn (with horseradish mayo), Heirloom & Melon Gazpacho (accompanied by apple cider sorbet), Cannelloni (with yellow corn puree, pesto, and heirloom tomato), Wild California King Salmon (with matchstick beets, arugula, and lemon orzo), Mishima Reserve Beef (with baby leeks and red shiso), and Strawberry Shortcake. "We continue to care about this restaurant. We love being here and what we're doing. 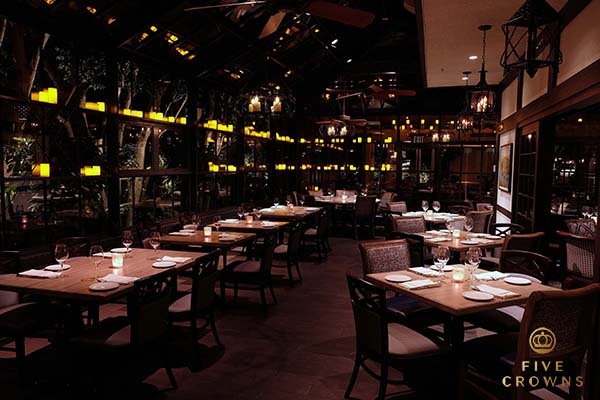 I challenge you to find a better demographic than Newport Beach for restaurants." With eight different restaurants and six licensed ones in Asia, the family-run business runs a busy and ambitious ship. However, Five Crowns holds a special part in everyone's hearts, and the proximity to neighborhoods plays a part in this. Even with a fresh new look, the restaurant will continue to gain support and diners because of its overall philosophy as a conscientious and inviting place. I invite you to check them out the next time you are in the area. 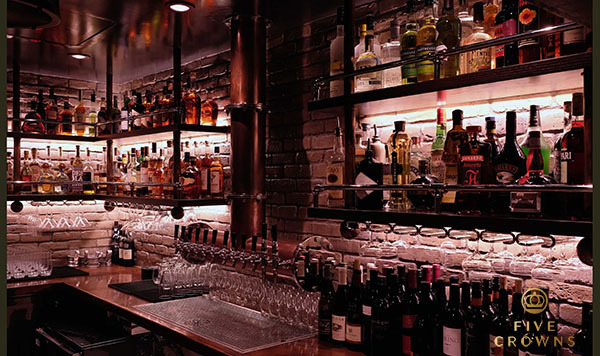 Five Crowns has never disappointed me before, and as they continue to evolve throughout the years, it is easy to see how they will stay an Orange County favorite for decades to come. Find them at 3801 East Coast Highway in Corona del Mar.